The posts here represent the opinions of CMB employees and guests—not necessarily the company as a whole. I watch a lot of television. From dramas to sitcoms to reality shows, I love it all. And while I watch a range of programs, I’ve noticed parallels between what it takes to be an effective TV personality and a qualitative research moderator. Ellen DeGeneres is the queen of establishing rapport. She greets each guest with her warm personality (usually dancing is involved) and alleviates any nerves/discomfort they may be feeling. Her inviting approach helps establish a mutual trust and creates a safe space for her guests. As a qualitative moderator, it’s also my job to establish rapport with my participants—to create an environment where people feel comfortable sharing. One of the best ways to put participants at ease in a focus group is by extending an “emotional handshake” to them. Before diving into the session topic, participants are asked a few self-introductory questions (e.g., what’s your name?) followed by a question unrelated to the discussion topic (e.g., what kind of pet do you have?). Once participants have answered some intro questions, the moderator will follow up with a question to complete the emotional handshake. For example, if participant A says they have a dog, a good moderator might follow up with, “What kind of dog do you have?” By following up, the moderator has shown true interest in what the respondent has to say, thus creating an environment in which participants are more likely to share. Chris Harrison of The Bachelor franchise is another impressive television host. From The Bachelor and The Bachelorette to Bachelor Winter Games and Bachelor in Paradise, Harrison is no stranger to navigating emotional conversations between heartbroken and battered love-struck participants. Harrison’s moderating prowess really shines through during the live finale episodes at the end of each season. In the live finales, contestants are invited back to recap the season and settle (hopefully) any unresolved disputes between exes and enemies. It’s a tense situation because contestants are often watching (for the first time) emotional footage from the season. Harrison masterfully navigates tough conversations between contestants by knowing when to dig deeper and when to rein it in—all under the pressure of impending commercial breaks. As moderators, sometimes we have to dive into sensitive topics with our participants within a certain time constraint. Based on project objectives, we need the judgement to know when to probe further to understand participants’ thoughts/feelings, and when to move along. Like Harrison, we must approach these conversations with empathy to show participants they are truly being heard. While Karamo Brown of the Emmy-winning show, Queer Eye, is a talented moderator, he’s also an incredible consultant. In the show, Karamo has an honest conversation with participants—listening to their needs and desires—then recommends actionable steps towards achieving their goals. For example, in the first season, Brown helped a struggling comedian brand himself with new headshots and a formal website. In another episode, Brown supported a transgender man while he acquired a new driver’s license with the proper gender listed. In each case, Brown listened to their struggle—for the comedian, it was lack of confidence, for the transgender man, it was misrepresentation of his identity—and built a roadmap to overcome these obstacles. We too are consultants in market research. We go into a discussion with questions to understand the thoughts, feelings, opinions, and attitudes of our participants. We listen intently and extract meaningful responses, then use that information to make informed, actionable recommendations to clients. 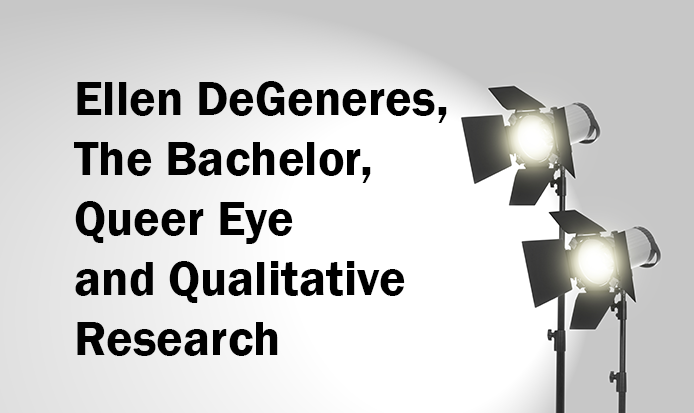 I never thought I could connect my love of television to my work as a qualitative researcher. But the more people I see on TV effectively navigating dynamic (and sometimes tough) conversations, the more inspiration I draw as I continue to hone my own moderating skills. Kelsey Segaloff is a Moderator who is currently binge watching Agents of S.H.I.E.L.D., Bachelor in Paradise, Castle Rock, and Magic for Humans simultaneously. Earlier this year, I ditched snowy Boston for the Qualitative Research Consultants Annual Conference in sunny Phoenix. I’d been to the conference before, but this year was particularly special because I was a 2018 Qually Award Finalist—a competition that challenges researchers to demonstrate a creative approach to problem solving. In the competition, we were asked to respond to a client RFP. The three finalists then were invited to present our proposals to a live audience at the conference. While I didn’t win the competition, it was an incredible opportunity to challenge myself to think creatively about how we can approach qualitative research. Since working in the industry, I’ve learned that storytelling—finding and communicating the story from the data—is one of the most important skills a researcher can have. It’s our job to dig into the data and create a compelling narrative so that our clients have relatable and actionable insights. I wanted to incorporate storytelling into my proposal in an unconventional way. So rather than looking at how other researchers tell stories, I looked outward—how are people telling and consuming stories in everyday life? I proposed taking the audio gathered from in-person interviews, ethnographies, shop-a-longs, etc., and piecing them together into a podcast. It’s a simple yet powerful way to tell an insights story. Kelsey Segaloff is a Senior Qualitative Associate Researcher at CMB and an avid consumer of true crime and Bachelor-themed podcasts. My friends and family greeted the news that I was joining a boxing gym with more than a little disbelief. Granted I am an imposing 5 feet tall and have a reputation for tripping over my own feet, so maybe they had a point. 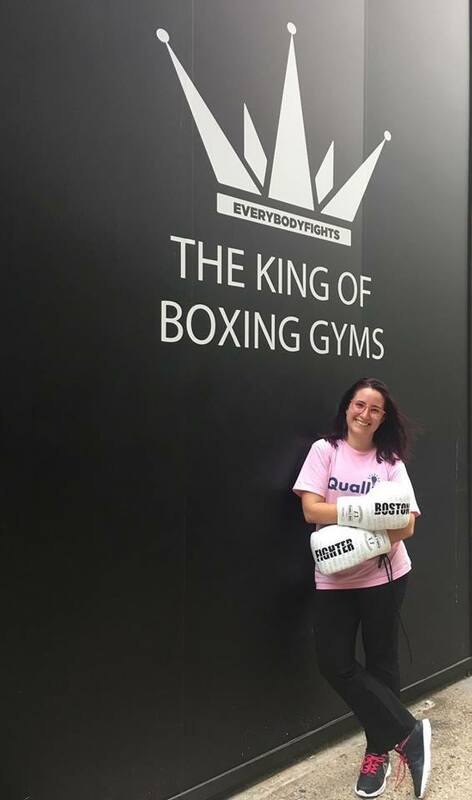 But four months and two pairs of gloves later, I’m not only fitter and stronger, I’ve learned some essential truths about boxing that I can apply to my professional life as a qualitative researcher. Boxing is a commitment—physically, financially, and mentally—and it’s tempting to hit the snooze button when I don’t want to get out of bed for an early morning class. Oftentimes, I must remind myself why I keep up with it. To help motivate members, there’s a large chalkboard titled, “Why I Fight” filled with trainers’ and members’ “whys” in the front of the gym. It’s the first thing you see when you walk in and serves as motivation to both me and fellow boxers. Focusing on the decisions or the “why” is critical for researchers. Before kicking off a project, we work hard to fully understand our clients’ business needs and the decisions they need to make—this focus keeps us on track for everything from designing a study and choosing a methodology, all the way to the final deliverables and implementation. It’s also important to consider our participants’ “why”—that’s the reason we often use tools like projective techniques in qualitative research to dive deep into participants’ thoughts and uncover their beliefs, motivations, feelings, etc.—the old one-two punch, as some might say. One of my favorite things about my gym is the sense of community it provides. My #fightfam challenges me to put my all into every class, whether it be Gennifer reassuring me I’m “crushing it,” or Roscoe in the bags room reminding the class we are winners (“And what do winners do? THEY WIN!”). While I feel a personal sense of accomplishment after every class I finish, I also feel a shared sense of pride with my fellow classmates and trainers—and that’s important. A knockout team is also the foundation for greatness in qualitative research. At CMB, our all-star roster, VP of Qualitative Strategy + Innovation, Kathy Ofsthun, Qualitative Research Director, Anne Hooper, Qualitative Project Manager, Erin Stilphen, and I work together and encourage one another to perform at our highest capacity. We bring inventive and innovative qualitative methodologies like co-creation, and over 40 years of combined qualitative experience to the ring. We’re also adept to thinking on our toes—ask me about the time I recruited for a study in a Canadian train station! And when we need to tap other teammates, we’ve got specialized qualitative research consultants in our corner. Boxing is known as the sweet science (the nickname is an appreciation of the technical skills required—strength, endurance, conditioning, core, and flexibility), but it’s just as much an art, requiring improvisation and creativity. The same goes for qualitative research. We’re masters of improv, but good technique is integral. Recently, I was thrown through a loop while moderating an in-home ethnography for our self-funded research on Millennial and Gen Z use of virtual assistants (think Siri, Cortana, etc.). Shortly into one of the interviews, it turned out the participant belonged in a different segment than what my guide had indicated. Instead of stopping the interview, I used my improvisation skills and reframed the questions without interrupting the flow of the conversation. Going a little off script helped us gather the insights we needed. I love that I’ve discovered a sport and gym I am passionate about, and I’m even more thrilled I can draw meaningful parallels between boxing and my profession. Of course, there are times when my muscles ache, my wrists hurt, and I’m tired, but then I remind myself why I keep going. I box because it makes me stronger, faster, and confident—and that these attributes help me be a better qualitative researcher is a bonus! 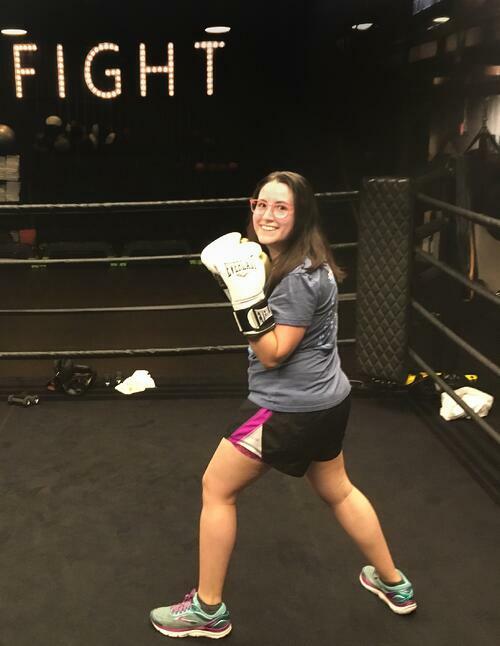 Kelsey Segaloff is CMB’s Qualitative Associate Researcher, and can be found working on her jab-cross at EverybodyFights Boston. Americans have a lot to reckon with in the wake of the recent vote. You’re forgiven if analyzing the role of the presidential debate moderator isn’t high on your list. Still, for those of us in the qualitative market research business, there were professional lessons to be learned from the reactions to moderators Lester Holt (NBC), Martha Raddatz (ABC), Anderson Cooper (CNN), and Chris Wallace (Fox). Each moderator took their own approach and each was met with criticism and praise. Concerns regarding whether or not the debate moderators were unbiased arose throughout the primaries and presidential debates. Moderators were criticized for techniques like asking questions that were deemed “too difficult,” going after a single candidate, and not adequately pressing other candidates. For example, critics called NBC’S Matt Lauer biased during the Commander-in-Chief forum. Some felt Lauer hindered Hillary Clinton’s performance by asking tougher questions than those asked of Donald Trump, interrupting Clinton, and not letting her speak on other issues the same way he allowed Donald Trump to. In qualitative market research, every moderator will experience some bias from time to time, but it’s important to mitigate bias in order to maintain the integrity of the study. In my own qualitative experience, the moderator establishes that they are unbiased by opening each focus group by explaining that they are independent from the topic of discussion and/or client, and therein are not looking for the participants to answer a certain way. Qualitative research moderators can also avoid bias by not asking leading questions, monitoring their own facial expressions and body language, and giving each participant an equal opportunity to speak. Like during a political debate, preventing bias is imperative in qualitative work because biases can skew the results of a study the same way the voting populace fears bias could skew the perceived performance of a candidate. Throughout the 2016 election moderators were criticized for either fact-checking too much or not fact-checking the candidates enough. Talk about a Catch-22. In qualitative moderating, fact-checking is dependent on the insights we are looking to achieve for a particular study. For example, I just finished traveling across the country with CMB’s Director of Qualitative, Anne Hooper, for focus groups. In each group, Anne asked participants what they knew about the product we were researching. Anne noted every response (accurate or inaccurate), as it was critical we understood the participants’ perceptions of the product. After the participants shared their thoughts, Anne gave them an accurate product description to clarify any false impressions because for the remainder of the conversation it was critical the respondents had the correct understanding of the product. For the case of qualitative research, Anne demonstrated how fact-checking (or not fact-checking) can be used for insights. There’s no “one right way” to do it; it depends on your research goals. Presidential debate moderators frequently interjected (or at least tried to) when candidates ran over their allotted time in order to stay on track and ensure each candidate had equal speaking time. Focus group moderators have the same responsibility. As a qualitative moderator-in-training, I’m learning the importance of playing timekeeper – to be respectful of the participants’ time and allow for equal participation. I must also remember to cover all topics in the discussion guide. Whether you’re acting as a timekeeper in market research or political debates, it’s as much about the audience of voters or clients as it is about the participants (candidates or study respondents). The study’s desired insights will dictate the role of the moderator. Depending on your (or your client’s) goals, bias, fact-checking, and time-keeping could play an important part in how you moderate. But ultimately whether your client is a business or the American voting populace, the fundamental role of the moderator remains largely the same: to provide the client with the insights needed to make an informed decision. Kelsey is a Qualitative Research Associate. She co-chairs the New England chapter of the QRCA, and recently received a QRCA Young Professionals Grant!